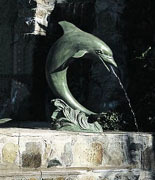 Dolphin Fountains - Click on an item for more details! 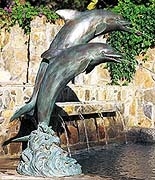 Limited Edition Exotic Leaping Dolphin Fountain FREE SHIPPING! 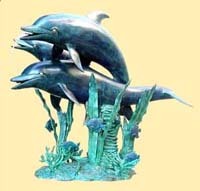 This Large Trio Dolphin Fountain is made with the finest details and materials. Handcrafted for the highest quality and unique design. 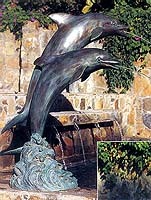 A treasure to enjoy in your home or garden to last a lifetime. 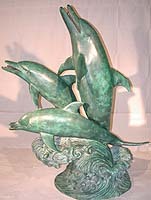 Bronze, 49 inches W. x 36 inches D. x 60 inches H.